Pack Type: Transparent Poly, Boxes. - We offer a wide collection of these leather passport wallets. - They can be used for various purposes. - Their unique design with multi purpose use make them appealing and high on usage. 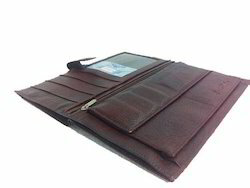 - We have invented new colors in these leather wallets. - Complete solution for international travellers! 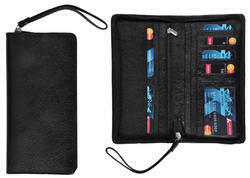 Family Passport Holders are apt and compact to keep upto 4 passports together closed by button loops or magnetic snaps. Every vacation deserves a trendy passport holder. To Put three Passport And no of Cards. Documents Dollrs Etc.